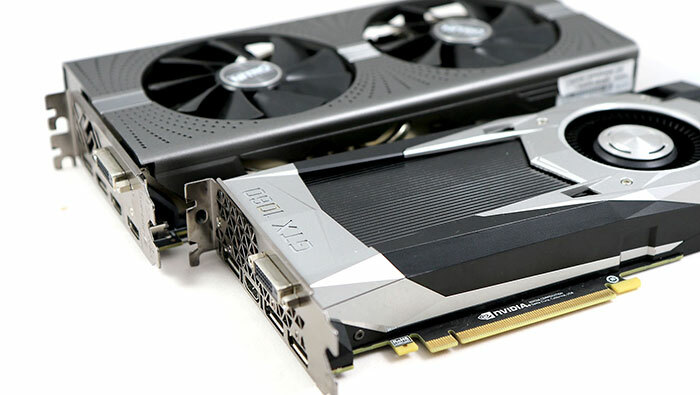 Reports suggest that graphics cards partners of AMD and Nvidia - AIBs for short - have started to cut deeper into pricing and leverage improved promotions in order to shift more graphics cards. The reason for this activity, as we have heard quite often in the past few months, is down to the dramatic end of the crypto-mining boom. How far can the price cuts go? According to DigiTimes the AIBs might be moving into loss-making territory, just to shift the excessive inventory. The problem is that the longer they wait with the unsold inventory, the worse price they are likely to get for it, and with multiple players in the same situation that isn't a great market to be in. It is estimated that the digestion of inventory by the market could take until mid-to-late 2019. This market/price action has already been having an effect on AIBs, and DigiTimes cites an example of AMD-based graphics card vendor TUL. This AIB reported January revenues were dramatically up month-on-month thanks to price cutting (though lower YOY as that comparison includes peak crypto). Despite the leap in sales in January, the company made a hefty loss. Those financials are indicative of selling old inventory at a loss. Indeed, DigiTimes adds that "Taiwan-based first-tier players have mostly seen losses from their graphics card businesses for the past two months". Guess the price it will be by Computex time. Further into 2019 it is envisaged that inventory will eventually clear and AIBs will again be able to turn profits on mid-entry level cards such as the GeForce RTX 2060, GTX 1660Ti, and the upcoming GTX 1660 and GTX 1650. Unfortunately, the AIBs are "expected to earn little from the new cards," according to the report, as it is still dog-eat-dog out there. Meanwhile, AMD is said to be under heavy pressure to come up with greater price cuts and more promotions. We'd like AMD Navi to be launched soon too but that looks unlikely if there is a glut of AMD GPUs to sell off. Very happy to see more reasonable GPU prices. Even if it won't last long. 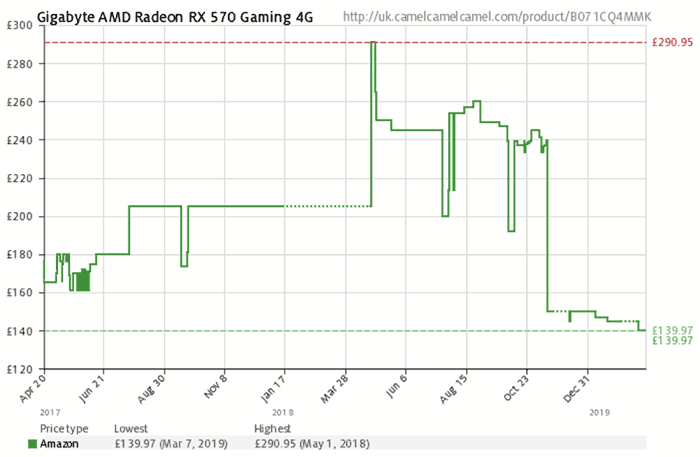 I'm hoping to get hold of a Radeon RX580/590 at a decent price. As I'm on a budget and do my gaming on 1080p anyway, anything over my £200.00 limit is off the table. Of my the irony, if they weren't still overpriced anyway. You need to remember, even with further cuts, they're still price way higher than they should be. People forget how long and how they've been out and how inflated the prices have been. Take into account also all the profits made from the price gauging and they could give the remaining bulk / left over stock and still be in profit. You can buy a 8GB RX 580 for £160 and get two free games , which you can sell for about £50 together.